Looking for a change this spring? Sick and tired of the crowds and traffic in places like New York City or Los Angeles? Study English in Denver, Colorado! 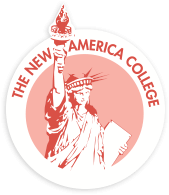 New America College is a renowned ELA school in Denver, Colorado that provides an excellent education for international students who want to study English in the United States. A non-profit established in 2007, NAC now hosts hundreds of students from 47 different countries around the world! We offer English foundation classes at multiple levels to help students improve their grammar, listening, speaking, reading, writing, and vocabulary skills. Our school offers a variety of mastery ELA courses – TOEFL, Business English, American Culture and Communication, University Preparation, and Communication in the Modern World – to help you along the path to your dream. Additionally, New America College has exclusive partnerships with multiple universities in the area which help to facilitate the transition to higher education degree programs for our students. Denver is a wonderful city with a lot of great things to offer, including arts and culture, great public transportation and lots of activities – indoor and out! Interested in outdoor activities like hiking, camping, fishing, mountain biking, or skiing? While learning English at an excellent non-profit and the Rocky Mountains right in your back yard, endless adventures await! Winters in Denver are much milder than you may think, and the summer season brings warm weather and sunshine to the region. In fact, Colorado is known for having around 300 days of sunshine per year! Our ever expanding city also offers a wide variety of things to do around town. New restaurants offering different styles of food from around the world are popping up every day in trendy neighborhoods like Lodo (Lower Downtown), Rino (River North), and the Highlands. The town of Boulder, which is home to the most famous University of Colorado campus, is just a short drive away. Come and check it out, and see what the excitement is all about! Visit our website for more information and to apply online.